For very different reasons, both parents and teens love babysitting opportunities. One gets to go out and relax; the other has the chance to care for young children while earning some spending (or saving) money. Talk about a win-win! But how do parents know they can entrust their young ones to the care of a teenager? One way is to find out whether the teenager has received any training in babysitting. 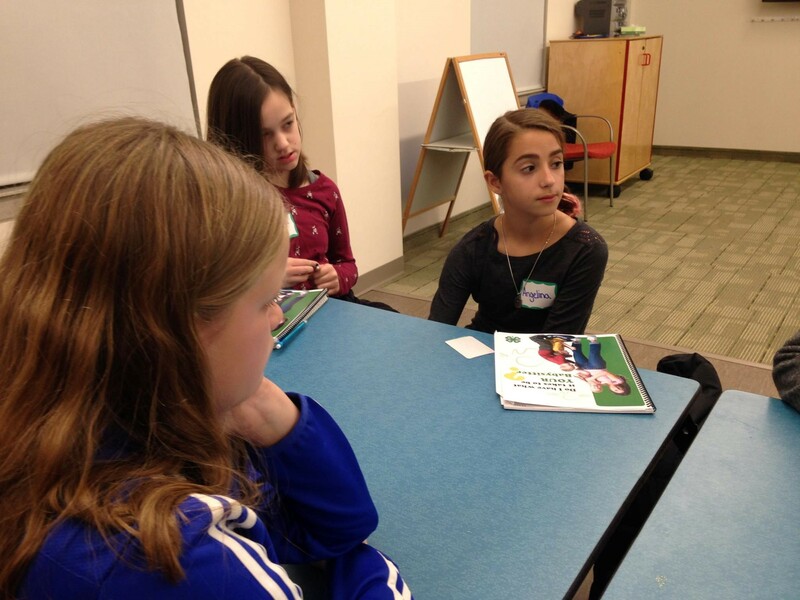 The UMass Extension 4-H Youth Development Program has developed one such useful training curriculum with courses offered throughout the year to help teens learn what it takes to be responsible and competent babysitters. Parents can feel better knowing their children are in well-trained hands when they’ve lined up a teenager who has completed this training course. Since this program began in 1980, more than 50,000 teens have taken the course. Many young teens transition into the world of employment through the portal of babysitting. Taking care of toddlers and infants, while developing their skills in decision-making and in entertaining their young charges, can provide valuable lessons for teenagers. But the business of babysitting is not just fun and games: it is a serious matter. Anyone in charge of a child’s welfare needs to know how to respond to a host of interrelated issues including basic safety practices for children, first aid, nutrition, health, allergies and fire safety, just to name just a few. How can an anxious parent feel reassured that their babysitter knows the fundamentals of childcare before they leave the house to enjoy a rare evening alone? Babysitting emerged as a social role for teenagers in the 1920s, and became especially important in suburban baby-boom America in the 1950s and 1960s, when there was an abundance of small children. Fast-forward to 1980 when two visionary leaders at UMass Extension 4-H developed useful, specific training curricula to help middle and high teens learn what it takes to be a capable babysitter. Extension agents Debra Samuels (Middlesex County) and Annie Larkins (Suffolk County) shared common problems they were facing when training young people in consistent childcare techniques. They explored ways in which to reach an audience of potential babysitters. They started a two-county cooperative effort and then looked further afield. Larkins said, “We discovered that every 4-H agent in the state had a babysitting program of some kind, but to some extent everyone was reinventing the wheel for each training.” No one program was adaptable to a variety of needs and circumstances. With no budget or any concrete plans, they proceeded to put it all together under one logo as a statewide program, garnering input from across the state. Samuels laughs now. “If we had any idea of what we were getting ourselves into, we would probably have quit right there. “ Thank goodness, they did not. 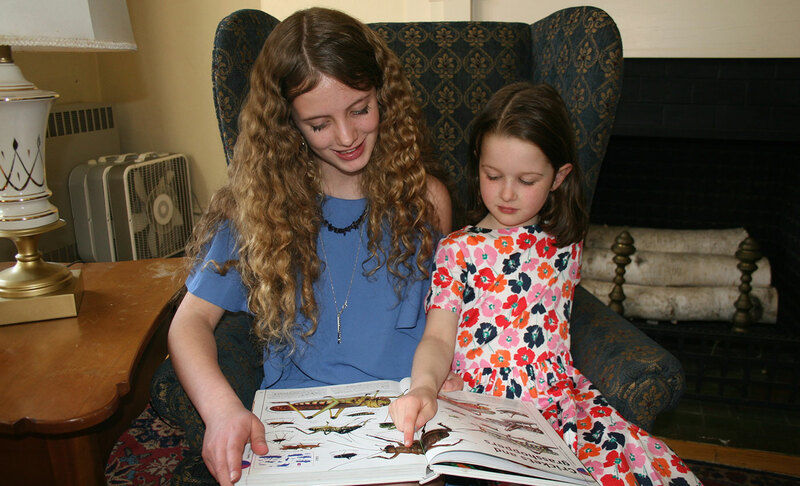 In 2007, the U.S. Army Child and Youth Services needed to update their guides and hired Extension Educator Gretchen May, UMass Extension 4-H Youth Development, to write their babysitting manual. May wrote it based upon the comprehensive scope of the Massachusetts curriculum: a real feather in the cap of Massachusetts 4-H. Most trainers now use this version for their classes. “Visionary.” This is how VaShon Hiltpold, 4-H extension educator in the Boston area, says Massachusetts 4-H describes that moment in 1980 when Samuels and Larkin created their robust curriculum that covered key topics every babysitter should know. Hiltpold began offering training courses in the area in 2014 for youth 11 years and older. Her total classroom time is at least eight hours during which she covers topics including: the business of babysitting, ages and stages of development, safety and first aid, appropriate food and entertainment, and the basics of meeting the parents and interacting with children. Teen participants receive a certificate upon completion along with a babysitter’s ID card. 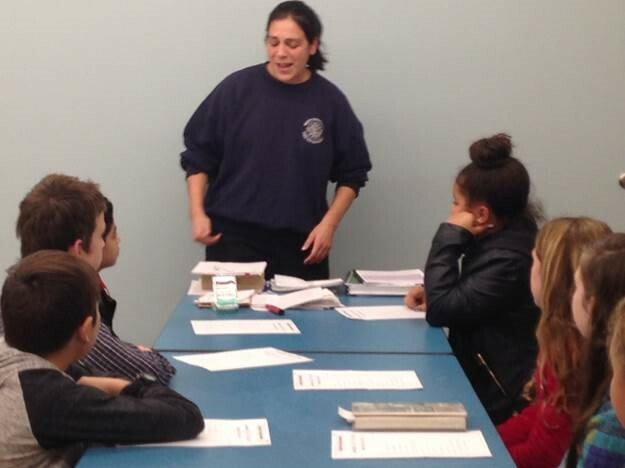 Hiltpold organizes lessons with “hands on” experiences and reports that youth respond very well to this program. Because of security reasons, she cannot send lists to the public of those who completed training, so she encourages parents looking for babysitters to contact their local libraries (a common meeting place for trainings) to reach out to teens who have earned their certificate. Tom Waskiewicz, Extension 4-H staffer in western Massachusetts, wrote the book on enthusiasm for 4-H initiatives. His expansive support for the babysitting program is no exception. Waskiewicz has been offering a babysitting course throughout his 34 years with extension. In recent years, the number of requests have multiplied in numbers and types of organizations who ask for the course. For many years, in was primarily public libraries. Schools, other youth organizations, and home-schooling groups are increasingly interested in offering the program. In western Massachusetts, babysitting programs are provided on an on-going basis, based largely on requests from individual communities. Between 120 to 150 teens in the Pioneer Valley are enrolled and receive a certificate upon successful completion every year. Topics covered include: first aid, fire and personal safety, nutrition, and child-appropriate activities, among many others. “And the award goes to....” If a trophy was presented to a person for training the highest number of capable babysitters in the Commonwealth, Judy Vollmer would win it, hands down. 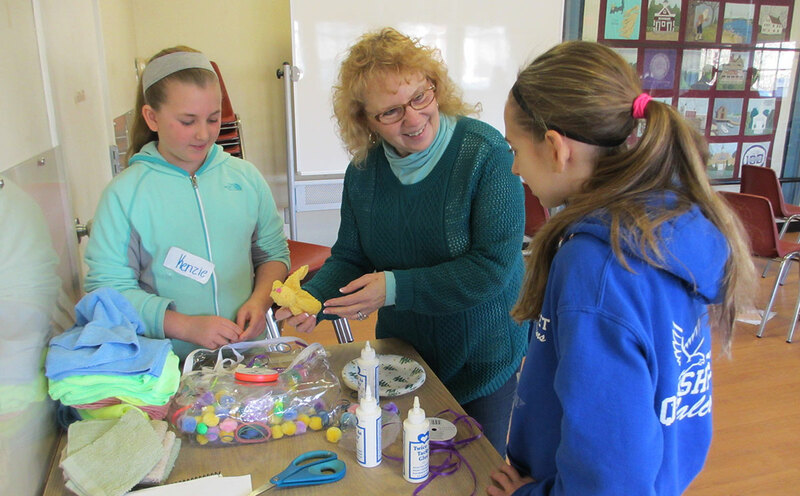 Vollmer is a 4-H educator at Cape Cod Extension and she has offered babysitting courses for teens on the Cape for 42 years and estimates she has educated thousands of youth. Each year on Cape Cod alone, an astounding 500 teens become certified babysitters under her guidance. (Do the math, that’s a lot of babysitters!) Vollmer said, “This is such a doable model and we have great success. The teens love it and parents are thrilled to have a babysitter who knows so much about child care.” She has worked with other 4-H clubs in the state to offer this course over the past three years and they are reporting steady enrollments. A typical class for her is 15 students and of them, 14 will be girls and one will be a boy. Vollmer encourages graduates of her courses to contact friends and neighbors or offer to be a “Mother’s Helper” to start building solid references for future babysitting jobs. For reasons of privacy, they cannot track all their graduates, but anecdotally, she knows many who have gone on to teaching careers. These teachers credit the 4-H babysitting course with providing a good understanding of and appreciation for early childhood development that helped pique their interest in working with children professionally. The Massachusetts 4-H Foundation, a private charitable organization dedicated to supporting 4-H activities in the state, has put the spotlight on babysitting training. Laurie Flanagan, the Foundation’s Executive Director, commented on the 50,000 teens already trained and said, “The Foundation has put forth a bold new objective: to train 50,000 more teens by 2030. To reach this goal, we established an endowed fund for which will allow this important program to flourish and continue in perpetuity. 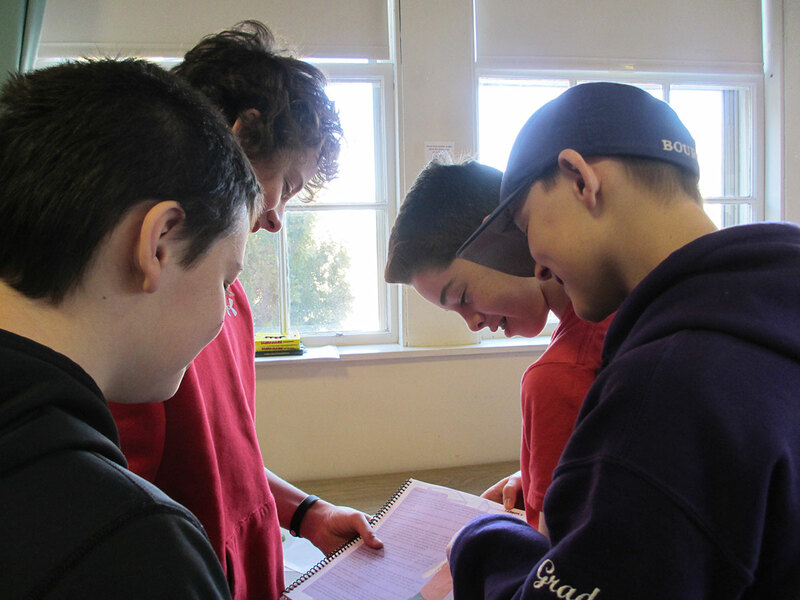 We are delighted to announce that Hamilburg family has generously stepped forward with a pledge of $25,000 to get this far-reaching program started.” If you would also like to make a donation in support of this course, contact Flanagan. They are also looking for businesses and organizations willing to sponsor this babysitting training in their city or county as part of the Massachusetts 4-H Foundation’s Advantage Program. As a 4-H Advantage partner, companies will raise visibility as committed supporters while enabling us to train more youth in the care of children. Sherrie Guyott, program director, 4-H, UMass Extension reflects, “Technology has replaced or changed many former jobs, but not babysitting. The same need remains now for employing knowledgeable, competent babysitters to care for young children as it always have.” Funds raised would be used to pay stipends to coordinators for running the course-especially in underserved areas, among other program expenses. Guyott and Vollmer have recently rewritten and updated the babysitting guide. They are currently working on a training guide for adults. Ana Lois, Southwick. My experience with the 4-H babysitting course was amazing. When I was nine years old, I helped my aunt watch her children and I loved it. After that experience, I absolutely knew I wanted to be a babysitter. My Mom found out that 4-H could train me, as well as my entire Girl Scout troop. I learned some specific questions I should ask parents before they leave the house such as: Do they have a gas stove? Where do they post emergency contact information? Do their children have allergies? Firefighters and a police officer talked to our class and showed us how to be safe when babysitting. We learned how to use a fire extinguisher to put out grease fires. I practiced calling 911 on the phone to state an emergency and learned the correct way to tell the person where we were, what the situation was and how I could help until the EMT arrived. This was my favorite part of the training. I learned that it is very important to stay calm on the phone. I learned the do’s and dont’s when babysitting. Do know the phone number and address where the parents can be reached. Do follow the instructions left by the parents about food and bedtime for the kids. Don’t call your friends all night, even if you are allowed to use the phone. And don’t invite friends or boyfriends over to visit. Don’t feed kids foods that they can choke on or be allergic to. Because of this course, I feel I am a more responsible person. Babysitting is not just a simple job, it is one with lots of responsibility. It is a really big deal that parents are willing to put their trust in you to watch their children and that makes me feel amazing. I have been trusted to watch my brothers and sister from time to time as well as my nieces and nephews. I even make money, which is nice. I am glad I took this course. What I learned will stay with me for years to come.